When Rohan Shravan, the founder of Notion Ink, talks we’re not sure what to believe. 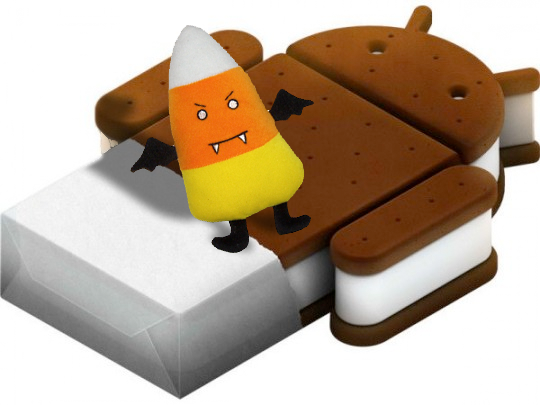 Shavran has stated that we will see the “Official update button” for the Ice Cream Sandwich in November after Google’s launch in late October. We will have to wait to see if Shavran’s leak is true or not. But don’t forget that he gave us a heads up on Gingerbread. It appears that Shravan’s predictions are based on either insider knowledge which is probably not the case or that he uses the internet and read that Ice Cream Sandwich is coming October or November. Most likely he found a story online that quoted that ICS and the 1.5Ghz dual-core processor will have an October release with the Ice Cream Sandwich. Another idea held by Shravan is that OMAP (Open Multimedia Application Platform) is the favorite platform of the industry and will be part of the next wave of devices. He also believes that OMAP will see ICS before Tegra. Shravan is not the first person to state Google would form a partnership with Texas Instruments for OMAP4. Since Google’s Honeycomb used NVIDIA’s Tegra 2 it is likely that Google will give another company a chance with developing the processor for ICS.